Have you ever taken a stroller or wheelchair to an old city? This place is about as handicapped accessible as living inside a Chutes and Ladders game. By the end of the vacation I was referring to my daughter as Cleopatra, hoisting her up like an Egyptian Pharaoh perched atop her mobile throne as we traversed stair after stair after stair. However, I would do it all again for one more tender crepe, chewy bagel, or briny smoked meat sandwich. As one of North America’s top foodie cities, you don’t have to stumble far to find a great place to eat. We managed to snag a closet sized room at Hotel Chrome downtown Montreal in the middle of everything. It was priced pretty attractively, primarily because I suspect they replaced our mattress with steel rebar, and our pillows were simply filled with lumpy sacks of potatoes. But at least we had more money for food! Montreal’s Chinatown was very close to our hotel, which was exactly what I was craving for my first lunch in the city. I’ve always been partial to finding unassuming joints dishing up exceptional food, and that is exactly what Dobe & Andy offers. 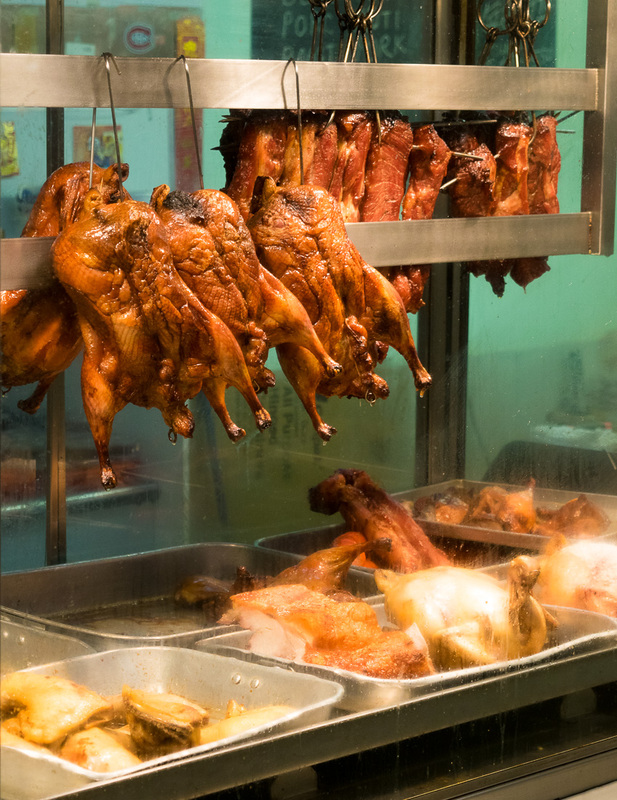 Hidden inside a building off Chinatown’s beaten path you’ll find classic Chinese dishes served up in an unpretentious setting. However, hopefully you notice the “Cash Only” sign at the register before I did so you can avoid awkwardly leaving the restaurant to find an ATM so you can pay your bill. Oops. While you are still in Chinatown head around the corner to Bao Bao Dim Sum for the most adorable bao buns you’ll ever eat! These steamed buns are brimming with fillings ranging from sweet custard, to savory meats. Did I mention they are all shaped like adorable animals! 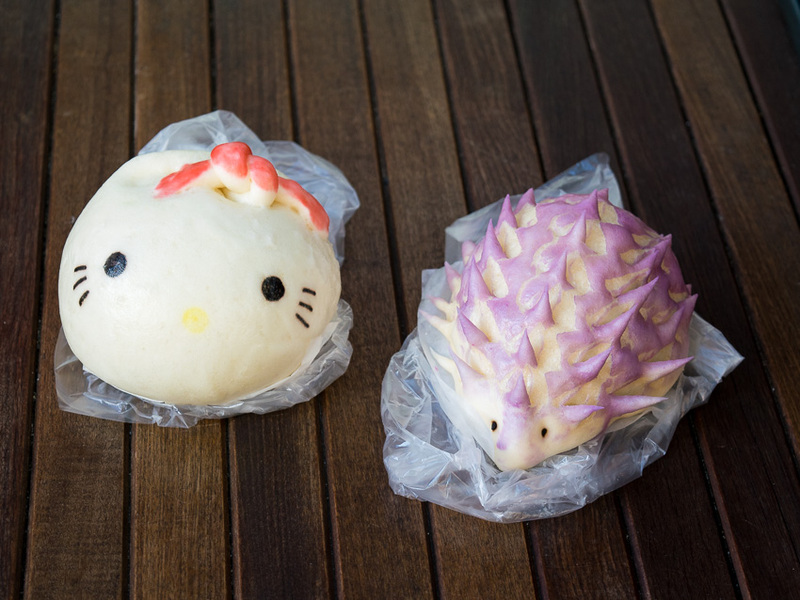 Who doesn’t love eating adorable animals?!? While walking around the next morning, looking for new and interesting stairs to carry my daughter’s stroller up, we stumbled upon Crepe Cafe in Old Montreal. You can’t immerse yourself in this French infused culture without enjoying a tender crepe, and Crepe Cafe didn’t disappoint. Though we ate more crepes by the end of our vacation, my wife and I were in agreement we enjoyed Crepe Cafe the most. 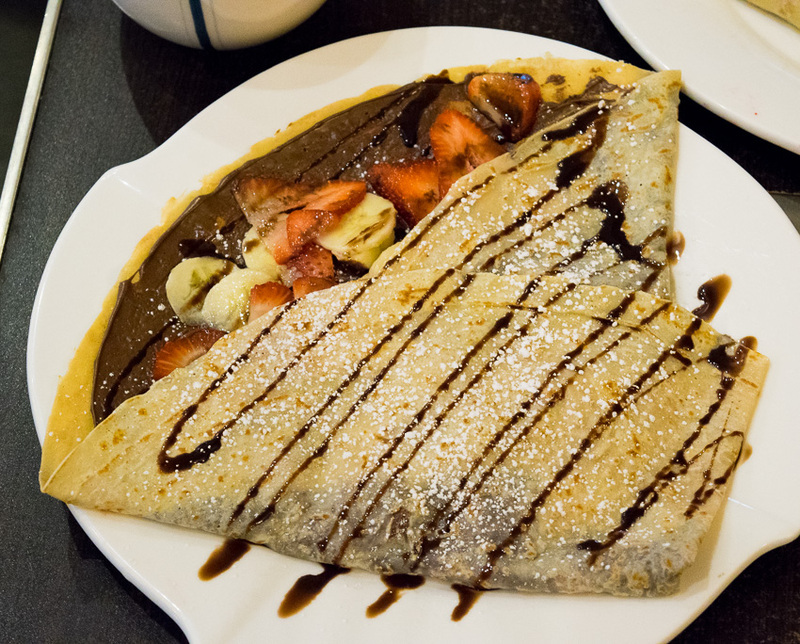 That Strawberry Banana and Nutella Crepe may haunt my dreams. After spending the better part of the day exploring downtown we stumbled upon a local brewery. My wife and I decided stopping to sample a craft beer would be a good reprieve from our day-long trek. However, upon strolling into the bar, the bartender’s eyes widened with shock at the sight of us and we were quickly ushered away because the good citizens of Canada do not wish to corrupt my poor impressionable one year old daughter with the trappings of an empty gastropub on a Thursday afternoon. Oh Toto, we aren’t in Wisconsin anymore. Sufficiently chastised, we wandered on in search of our next culinary delight, which led us on a 45 minute march away from downtown. My wife and I journeyed to Fairmount Bagels, an iconic bagel bakery that has been in operation for almost 100 years, and located in their current storefront since 1949. Their famous hand-rolled bagels are baked in a wood-fired oven and then piled in every nook and cranny of this bakery. 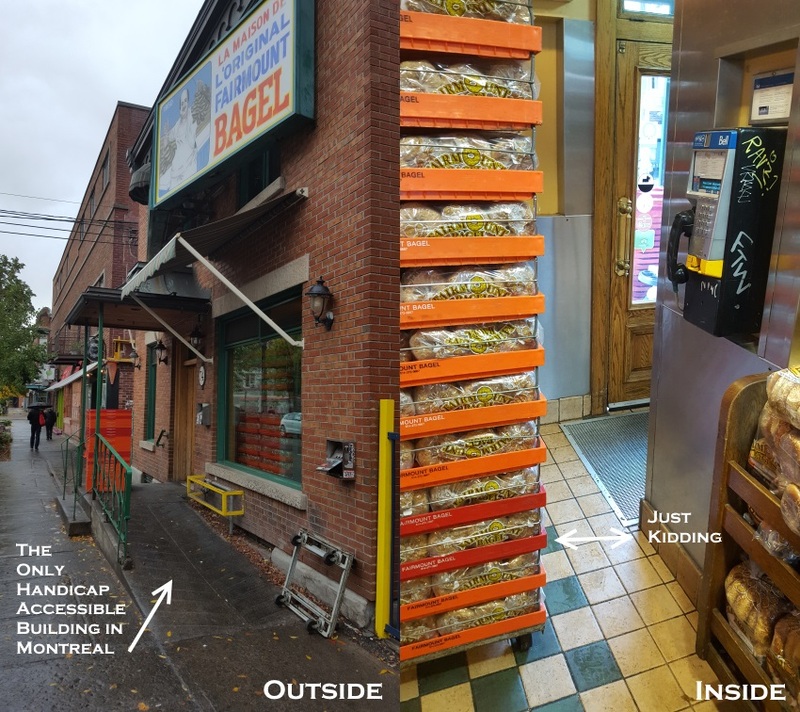 Bagels not only cover the windows, racks of bagels take up every inch of floor space minus one little path that allows a couple of customers to reach the counter. I had to take a picture of their menu board and bring it outside to my waiting wife who stood guard with my daughter’s stroller, so she could place an order too. 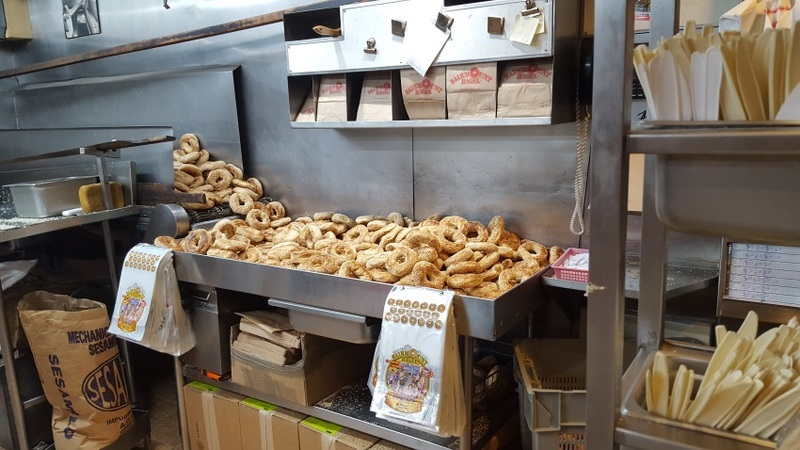 Fairmount Bagels brimmed with history and tradition, I highly recommend putting this bagel bakery on your must-visit list during your trip to Montreal. The other storied establishment I highly recommend putting on your Montreal bucket list is Schwartz’s Deli. You won’t find a huge menu filled with every type of deli sandwich you can imagine. Instead you will discover a very simple menu highlighting their limited offerings. A Smoked Meat Sandwich is what you want. What the vague sandwich may lack in descriptiveness it makes up for in flavor. This exceptionally tender sandwich is piled high with thick slices of smoked beef (I suspect brisket) and adorned with a slathering of mustard. Simple and to die for! Pair it with one of their briny pickles and you have a perfect lunch! 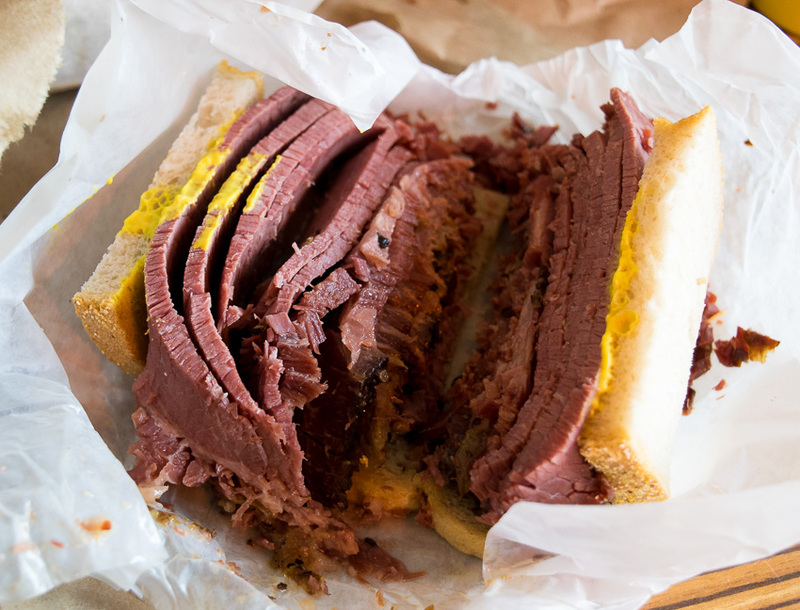 People travel from around the world to visit this classic Jewish deli, and I recommend you make the pilgrimage as well. By the end of our journey my wife and I were as full as we were enamored by the friendliness of the city. Almost without exception we found the citizens of Montreal to be welcoming and helpful. Even a homeless panhandler tried to get my daughter to laugh when she was crying in her stroller. 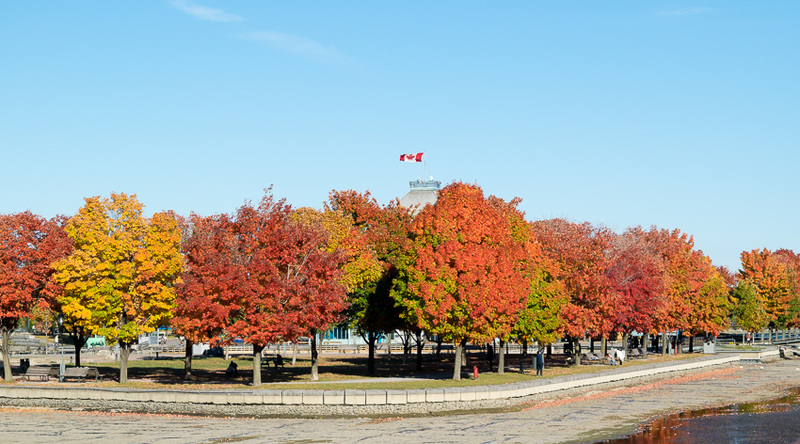 If you are looking for a great foodie destination, Montreal has to be on your list. Though if you make the journey be sure to bring your appetite and walking shoes, but leave the stroller at home.